Medical Offices and departments that are organized are more likely to operate efficiently than those who work in chaotic environments. Physicians are incredibly busy people and do not have time to do clerical tasks that are often business critical. That’s where medical office assistants are indispensable. With their unique skill sets they can create order and organize a physician. To create an organized physician’s office, the medical office assistant will want to establish a filing system and use electronic health records to allow care providers access to patient information. They will want to set up the billing and coding processes, so the physician gets paid for services rendered and the patient is billed properly for healthcare services. The medical office assistant will want to also keep staff records and calendars organized so continuing education requirements are met and meetings don’t overlap. The medical office will want to draft an emergency plan in case disaster strikes. Finally, the medical office assistant will need to make sure the medical office abides by HIPAA guidelines to minimize legal ramifications for patient privacy breach. 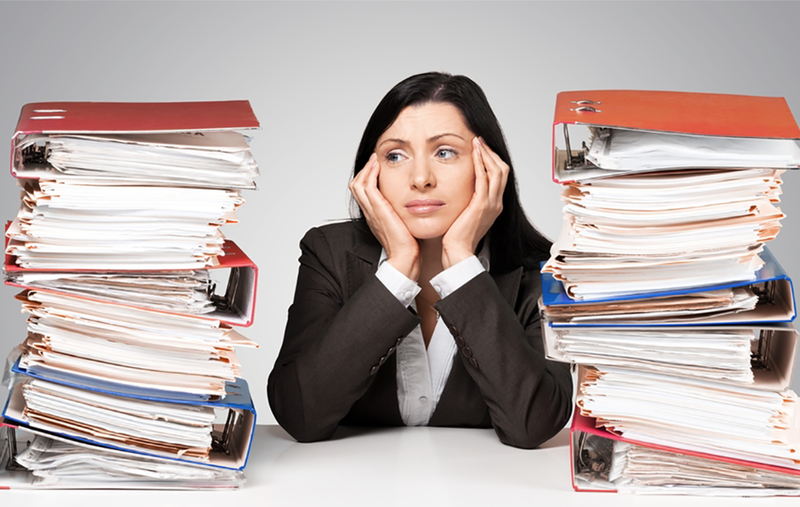 One of the most important tasks when organizing a medical office is to set up a filing system. Using alphanumeric and tabular filing systems can allow medical staff to find paper records when needed. However, a filing system is not just for paper records and invoices but there needs to be an online file as well for electronic correspondence. The use of electronic health records allows the patient’s entire medical history to be accessed by all medical providers. Making this easy to access will help anyone find the medical information they need. The medical office assistant will also need to ensure there is a secure data system and that patient records are secure as they should only be accessed by the staff working directly with the patient. The electronic health record (EHR) is a systemized collection of a patient’s electronically stored health information. The electronic health records can be shared by all providers in a patient’s care including physicians, medical offices and healthcare professionals. Medical records can be shared in minutes and better healthcare can be administered to patient with the help of electronic health records. Some of the information recorded in electronic health records includes patient personal information, vital signs, medical history, medications, immunization status, laboratory test results, and all insurance billing information. It is important that only authorized medical staff have access to electronic health records and abide by HIPAA guidelines. Medical offices need to ensure they have a robust billing and accounts system. Without cash flow the medical staff wages will go unpaid and ultimately the physician’s office could close. Alongside this system is the clinical coding process where diagnoses and treatment of care need to be recorded using internationally recognized codes. The different internationally recognized codes include the International Classification of Diseases version 10 (ICD-10), Current Procedural Terminology (CPT) and Healthcare Common Procedure Coding System (HCPCS). If this process is done incorrectly it can result in under or over payment, and incorrect diagnoses on medical records. Medical office assistants have educational training to review the records and ensure everything is correctly coded. By having these processes in place in a medical office, billing and coding is more efficient. Proper processes also ensure the medical office keeps the business cash flow in check. Staff records are another area that needs to be in order. Medical office assistants can set up a filing system for personal records. In the medical world there is a requirement for appraisals, revalidation and renewal of some qualifications, and annual training. If they are not completed there are serious consequences. Medical staff may need retraining or not be allowed to perform a procedure until the staff’s required paperwork is in order. By setting reminders for staff, the medical office assistant can help the medical office transform into an organized system and one where training obligations do not lapse. Having a single office calendar will enable medical staff to see vacation time, clinic time, and specific meetings. It will also act as a booking system for teaching, specific administrative tasks such as signing off invoices or documents, and reminders when due dates are near. An office diary or calendar avoids double booking appointments and keeps the medical office organized. All medical offices should have an emergency plan, so they can stay resilient in an adverse situation. Medical staff need to plan for adverse weather. For example, snow or floods may inhibit medical staff to reach the office and alternative plans must be in place as patients will still become ill and injured. It may even be more vital in an emergency situation to have a plan to manage multiple patients through a triage process. If the computer system was destroyed, is there an off-site back up set up that is data secure? Developing a plan for emergency situations will enable the medical office to be prepared if a crisis occurs. Making sure all the physicians are aware of and read the plan is essential. The medical office assistant will need to keep all patient information confidential as a disorganized physician may inadvertently reveal private patient information to people that are not authorized to view it. Following HIPAA guidelines is important to not only keep patient information confidential but to not experience any legal implications for breach of patient confidentiality. The Health Insurance Portability and Accountability Act (HIPAA) of 1996 was developed to help ensure the confidentiality of medical records in the age of the computer. The HIPAA privacy rule requires that healthcare providers, health plans and healthcare clearinghouses gain authorization before they can use or disclose protected patient information. This privacy rule requires that the covered entities provide patients with written notice of their privacy practices and the patient’s privacy rights. All pharmacies, health plans and other covered entities must obtain an individual’s authorization before sending marketing materials. Finally, patients must be able to access their personal medical records and be able to request changes to correct any errors. Medical office assistants have a vital role in organizing disorganized physicians and their medical offices. From setting up a filing system to developing an emergency plan and getting coding in order, a good medical office assistant can create order out of chaos. Enjoy managing the front office and bookkeeping duties? Want to become a medical office assistant? The Medical Office Assistant Program is designed to prepare graduates to work as an entry-level medical front office assistant, receptionist, insurance billing, insurance collector, appointment scheduler, medical secretary, or medical records clerk, in health care centers, clinics, hospitals, ambulatory care centers, and medical billing offices. Contact PCI Health Training Center for more information on how to become a medical office assistant and start a rewarding career today.